The latest technology packed into an umbrella. Listen to the latest sounds via bluetooth connection to your phone or other device. Easy connectivity with volume, pause and track slip, by the push of a button on the handle. Comes with USB charging lead and headphone compatibility. You can also download your music on an SD card and slot in so your music is always ready to go. 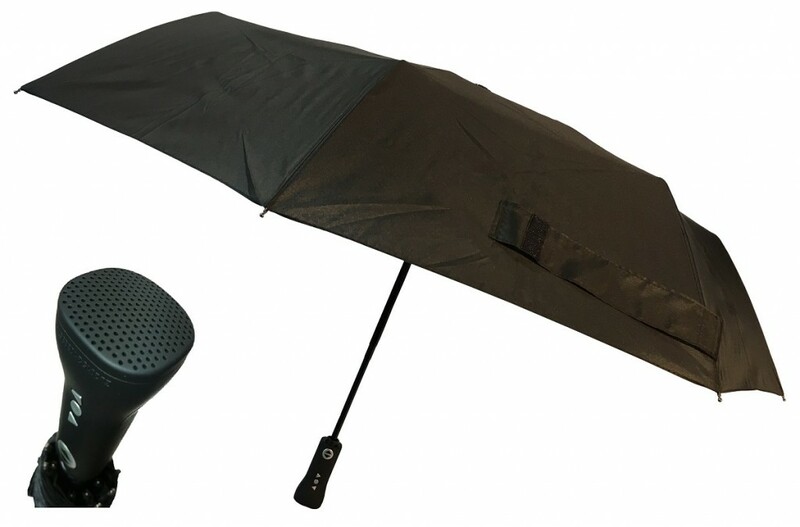 All of this in a good quality auto open and close umbrella makes this a perfect gift for the techno that has everything or any music lover.